With more and more people quitting their jobs to pursue their passions as freelancers and home based entrepreneurs, the landscape of work is changing. Back in the day, you had to to have a 9-5 job – any job, especially if you were the man of the house – just to conform to society’s standards. This often meant doing a job you hated, in an office you despised, much like what many people are still going through now. But what the heck. As long as it pays the bills and provides health benefits, all’s well that ends well. Right? Well, that pretty much sums up why 70% of Americans hate their jobs! This has brought on a shift in the way people think. Many of them are realizing the benefits of working from home and are turning to freelancing or accepting positions as virtual employees for some of their income, while working on another side hustle to generate more money. Telecommuting is fast on the rise, with an estimated 3.2 million Americans enjoying the comforts of working from home and many more international employees getting hired by companies who realize they could get cheaper talent abroad at a fraction of the cost. Freelancing has also become a pretty lucrative business if you’re skilled at what you do. Everyday is dress down day. No jostling for position in a crowded subway. Eat healthy, home cooked meals all the time. Everyday is bring your pet to work day! Everyday is bring your child to work day! These are just a few of the benefits of working from home. Of course, your pet or child can’t be with you for the duration of your work, but at least you can spend time with them during lunch or when you’re having a short break. Your office should also look and feel like an office, or your productivity will suffer. What job can I get working from home? If you’re a talented wordsmith, put your pen and wits to good use by offering your services as a writer. There are many options to choose from, depending on what you love doing. You can be a ghost writer, web content writer, copy writer or technical writer. Writers get paid either hourly or per project, so choose which one is most applicable for you, and don’t forget that you should charge for research! There are many websites that can pair a native English speaker to a person from across the globe looking to learn, all from the comfort of home through VoIP. If you’re an English major or if you know how to teach basic English, tutoring is a great way to earn money from home. Conversational English may be part of the deal, but translation isn’t. If your client is looking to you to help translate a document, ask them to try a professional linguistic service. If you got an eye for design and color, a career as a freelance Graphic Designer may be in the cards for you. The good thing about this is that everything can done virtually, from talking to clients by VoIP to getting an idea what they want. Files can be shared instantly, and cloud computing makes collaboration much more easier to do. 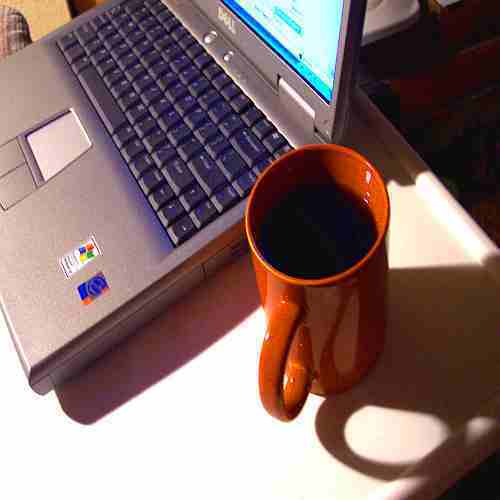 Another creative telecommuting idea is to offer services for web design. These days, web design is all about templates, and sites like WordPress, Weebly and SquareSpace offer templates by the dozen. But if a client wants something unique and different, you can use your CSS and HTML5 skills to make them beautiful web pages. Other good, work from home careers are in accounting, customer service, tech support, sales and programming. The list above is hardly complete. There are a myriad of other lucrative work from home jobs available if you know where to look. If you put in enough time and research into honing the skills you’re offering, opportunities will come. Don’t forget to check out sites like Fiverr, Elance and Freelancer if you want to view what jobs are in demand and what other people are charging. I love working from home for lots of reasons, some of which you mentioned. One of the best things is being able to walk out of my office space and give my kids a hug anytime I want during the day. That’s a reason that has to top the list, for sure! I’ve been working independently from home for around eight months. It’s wonderful but it isn’t all roses either. Any environment has pros and cons but overall I do prefer working from home. I am happier now because of the type of work I’m doing now versus in the past too. Anyway, I may go back to work full-time if I can find a good role but who knows, we’ll see. In my job I can work from home from time to time if needed. My biggest obstacle is to be as productive as I would in an office setting. Even if you completely switch gears as many do when they start working from home, you still have to achieve a certain level of productivity to make it work successfully. I am planning to work from home starting next year. I hope I make the right decision, but most of my friends who left their full-time work are well satisfied and with no regret over their decision. Huh, I hadn’t thought of the tutor thing. I do think people underestimate the level of organization it takes to work for yourself. And the stress when a regular client stops using them or they’re just not able to do as much in a given month. It’s one reason I’m really not interested in working for myself. I guess I’m just weird. I’m a software engineer, but I have the flexibility to work from home when I want/have to. I’m expected to spend the majority of my time in the office….but I do some work in the morning from home, as well as at night. If I need to be home for a repair person or a delivery, no problem. I don’t think i’d like working at home full time though……having all my stuff around me is too distracting. Plus, my cupboards and fridge and cooking ability…..I’d probably gain 100 pounds.